Community groups in Crystal Palace were stunned this afternoon by the shock announcement from Robert Gibson that he has resigned as the co-chair of the Upper Norwood Library Trust. Gibson has worked tirelessly, often in rear-guard actions, to keep the century-old library, uniquely funded by both Croydon and Lambeth councils, open and functioning despite swingeing grant cuts by Tory and Labour administrations on both sides of the borough boundary over the past five years. On Gibson’s watch, the UNL has forged a role as a community hub, providing children’s educational activities, a venue for Norwood Society history talks, and a rallying point for a range of other community groups. 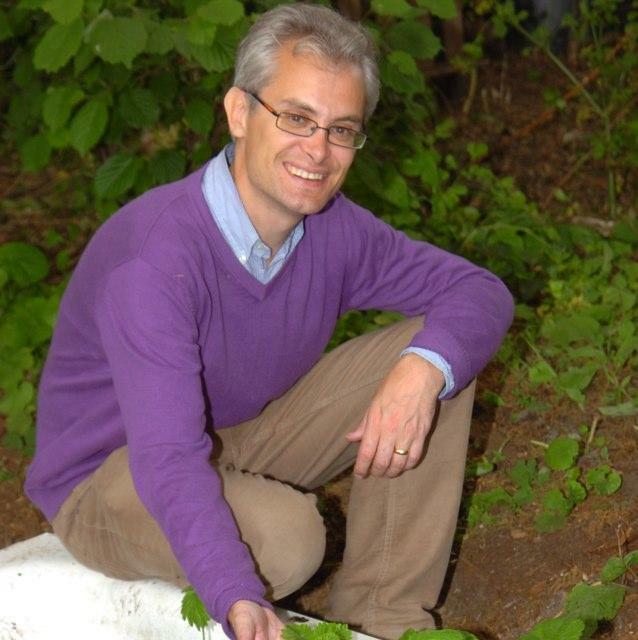 “It is with sadness that I have decided to step down from the Upper Norwood Library Trust. “I received an email in error that has led me to question how included I was and whether I could best serve the interests of our library as a member of the Trust. “I am going to take some time out to consider my position. I hope though that I can continue to be an advocate for our library as a Friend of Lambeth Libraries and through the Upper Norwood Library Campaign. “I remain committed to the cause of our library and very appreciative of all the hard work the library staff have put in in the face of very challenging circumstances. Gibson declined to make any further comment when approached by Inside Croydon. The Upper Norwood Library’s other trustees are Laura Wright, Pam Gray, Jane Gregory, Emma Sharville, Bryher Scudamore, Phil de Montmorency and Marcus Lloyd-Davy. Wright, de Montmorency and Lloyd-Davey took up their posts earlier this year. Because of its joint management with Lambeth, Upper Norwood is the only Croydon library that is not subject to the outsourcing deal which sees the borough’s other libraries currently under the management of building firm Carillion. Lambeth Council is due to publish the result of a consultation on its libraries and arts provision next month, and it is expected that the report will recommend the closure of at least two libraries, the Minet, north of Brixton, and at Waterloo, creating an endowment fund from the resulting property sales to fund other arts schemes in the borough. But both Minet and Waterloo libraries are in the Vauxhall constituency of veteran MP Kate Hoey, and there remains a fear that Lambeth might, instead of one of these facilities, seek to “off-load” Upper Norwood under an asset disposal scheme which was originally hatched by Croydon when the council was under Tory control. As a community campaigner, who continues to have a role with the Save the Upper Norwood Library Campaign, Gibson’s presence on the Trust may have been seen as inconvenient for Lambeth’s plans. 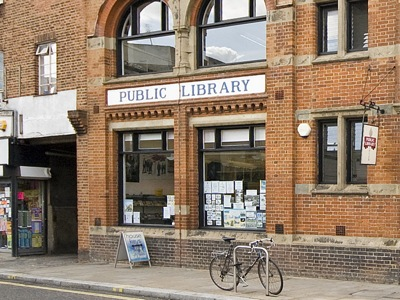 Any proposals by Lambeth Council to further reduce Upper Norwood Library’s provision – reduced funding already sees the library operating only on a part-time basis – could also prove to be embarrassing to the former council leader at Brixton Town Hall, Steve Reed OBE, now the Progress MP for Lambeth South/Croydon North. Earlier this year, Reed said, “Residents in Crystal Palace and Upper Norwood have consistently made clear their support for a properly funded, professionally staffed library in public consultations held by both councils. This entry was posted in Carillion, Charity, Community associations, Crystal Palace and Upper Norwood, Crystal Palace Community Association, Libraries, Norwood Society, Upper Norwood Library Trust and tagged Conservative, Croydon Council, Crystal Palace, Crystal Palace and Upper Norwood, Labour, Lambeth, Robert Gibson, Steve Reed OBE, Tory, Upper Norwood Joint Library, Upper Norwood Library Trust. Bookmark the permalink.